Located deep in the North Maine Woods, yet easily accessible by dirt roads. 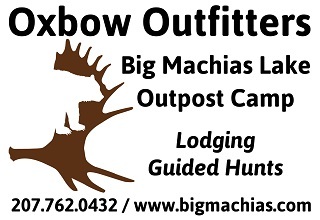 A perfect location for your hunting, fishing, and outdoor adventures. The camps are equipped with gas lights, stoves and refrigerators. There are dinner plates, silverware, and other cooking utensils. Sleeping arrangements include both single and double beds, accommodating two to eight persons to a cabin you supply your own pillow, sleeping bag, toiletries, and food. A bath house features hot running water, two showers, and sinks. A spring is located on the shore of the lake which may be used for a water supply.